The Third Street Center is soon to have a new tenant in GlenX's new co-working space and business incubator, which the organization has shifted to Carbondale after plans in Glenwood fell through. 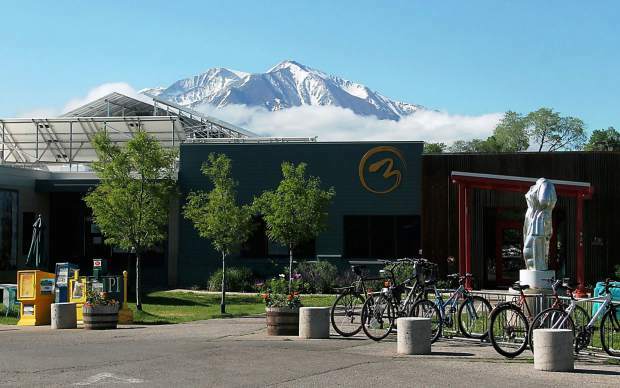 After plans for a Glenwood Springs space didn’t work out, GlenX’s co-working space/business incubator is courting Carbondale and moving into the Third Street Center. Originally, GlenX had designs on the old Glenwood library at Ninth and Blake, but those plans sunk when the city decided in August to sell the building. The former library building is now under contract for purchase by long-time YouthZone board member and supporter Ted Edmonds, with the plan to turn it over to that organization and the potential for other organizations to lease space in the facility. After a lot of effort in Glenwood Springs, GlenX decided it wasn’t the right fit, Mike Lowe of GlenX told Carbondale trustees Tuesday night. Since then, the organization has found Carbondale to be a perfect location for building this kind of entrepreneurial space, he said. Though GlenX wants the co-working space to be a community resource for the whole valley, the group is also looking to focus on Carbondale. “We want to make sure and cater to the community, support existing businesses but also help spur new businesses and raise the bar for the entrepreneurial climate in this valley,” said GlenX’s Altai Chuluun. The GlenX Summit on Oct. 13 at the Third Street Center is slated to double as the co-working project’s launch party. For that first month, anyone who wants will be able to use to co-working space for free. Lowe described the project not only as a co-working space, but also as a platform for the valley’s entrepreneurs to connect with a network of mentors and potential investors. Lowe said GlenX already has a list of 40 to 50 potential mentors who want to support local startups through the project. There are currently nine co-working spaces on the Western Slope, and some are getting big attention. Last year, Forbes ranked the co-working space in Montrose, Proximity Space, as the best co-working space on Earth. A big part of GlenX’s project aims to connect those nine co-working spaces into a network, said Lowe. Chuluun said GlenX will also be working with other nearby start-up support organizations, like Telluride Venture Accelerator and an investment group in Steamboat, tying into a broader network to share resources, ideas and access to potential investors. GlenX wants to identify those entrepreneurs in the Roaring Fork Valley and the support they need, said Lowe. The new space would target professionals who work remotely. While there’s been a big culture shift toward remote working, lots of these people working at home find they miss the collaborative atmosphere that the co-working model hopes to provide, said Lowe. Membership could also be flexible, offering part-time and full-time memberships, he said. Membership payments would be around $250 per month, which could also be on flexible, month-to-month leases. GlenX is already thinking long-term, anticipating the co-working/incubator will have to find a new space beyond the Third Street Center after operating there for a few years. To get started, Lowe said that it will take a public-private partnership to make this space work. The co-working incubator will need help to get launched in the first year or two, but the overall goal is to be self-sustaining and not reliant on town or county funds after that point, he said. In about two to three years, Lowe anticipates the co-working model will reach capacity at around 50 members. Lowe and Chuluun both acknowledged that Carbondale probably isn’t in a position to significantly contribute financially, but the board of trustees sounded eager to explore how they might partner with GlenX’s project. Trustee Heather Henry voiced support for the idea, recalling how her own business began in a garage because there was no space available in town. Trustee Ben Bohmfalk said the board should be mindful of possible resistance the project may draw, from residents who have the impression that the board wants to attract white collar workers without regard for driving up housing costs. GlenX has also submitted an application for a town discretionary grant, but Town Manager Jay Harrington said those won’t be reviewed until November and aren’t finalized until the 2018 budget is approved. In the meantime, Chuluun said GlenX is working to spruce up its new space in the Third Street Center and will continue looking for people who want to get involved. “Every community, especially in rural markets, to stay relevant in the 21st century, needs to have a space like this,” he said.